It’s almost time to go back to university for another year of student life. If you’re relocating to halls for the first time, or settling back in to your old student digs, it’s unlikely that sorting out your energy bills will be top of your priority list – but taking the time out now to manage your student utility bills will give you one less thing to worry about this academic year. And a bit of budegting now might even help you stretch that student loan a little bit further. What student utility bills will you have to pay? If you’re moving into a halls of residence, you’ll probably find that most, if not all of your utility bills are covered as part of your accommodation fees. Gas and electricity – your energy bills will most likely make up the bulk of your utility costs, so it makes sense to make sure you’re on the cheapest possible rate for gas and electricity. You can compare energy quotes and switch to a better deal in a matter of minutes – just enter your postcode in the box at the top of the page to get started. And be sure to check out our Guide to gas and electricity for students, for more tips on how to save energy and money in your student accommodation. Water – your tap and waste water provision will come from your regional water supplier, and your property will either pay set water rates or be charged on the amount of water used, via a meter. Your landlord may include these costs are part of the rent, so make sure you check this, preferably before you move in. If water isn’t included, go to water.co.uk, to find your supplier and set up your account as soon as possible. Phone and broadband – broadband is vital for any household, and costs can vary dramatically between providers, so use a comparison site to find the best broadband deal for your circumstances. You may find you’ll also have to sign up for a landline deal at the same time (you’ll need a connection, even if you don’t use the phone), so keep an eye out for line rental fees, which can add significantly to your monthly bills. TV – you’ll need a TV licence if you plan on watching TV anywhere around the house, and even if you plan on watching BBC iPlayer. Annual licences are £150, but you may be able to get a partial refund if you only live at your student accommodation during term time. Find out more at TV Licensing. You may also want digital TV subscriptions, such as Sky and Netflix, so work out what everyone in the house needs, find the most suitable deal, and split the bills. Home contents insurance – unfortunately, even the most skint students are a target for thieves, so it’s worth investing in home contents insurance to make sure you’re covered, should your digs be broken into. If a full contents policy is a little too comprehensive, not to mention expensive, it may just be worth insuring your most expensive gadgets, such as smartphones and laptops, individually. Council tax – if everyone in your house it a full-time student, you won’t have to worry about paying council tax. To qualify as a full time student you must be on a course that is at least one year long and involve at least 21 hours of study time per week. You will need to apply for a council tax exemption though, find out more at GOV.UK. 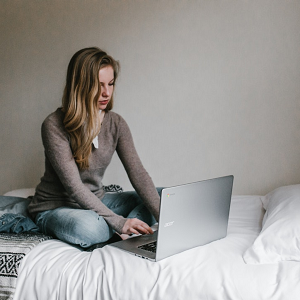 As you can see, there are a lot of costs involved in running a student house, and it’s vital that all bills are paid fully and on time – you don’t want to spend your student days living in constant fear that your broadband will be cut off, or end your student days owing hundreds of pounds to your energy supplier. The important thing is to make sure someone is looking after the bills – this can be one person looking after all of them, or have every person in the house look after one utility each, whatever works best in your house. To make sure all the bills are paid on time is to have everyone in the house set up a regular standing order to one account that is used to pay the bills, and then set up direct debits from this account to each of your utility providers, to make sure no payments are missed. Everyone should put enough money into this joint account to make sure all the bills are covered, and perhaps even add a little extra in case costs run over one month – for instance, energy bills are higher during the winter months when more gas and electricity is used to heat and light homes. If you end the academic year with some money left over in the account, this can then be split evenly between housemates, as an end of term bonus.